You may not have heard the term Ichimoku – it’s been used in Japan for about seventy years, but the West has only just discovered it. It literally means at a glance, and that describes how the Ichimoku chart is for the trained eye. For the untrained eye, it seems terribly confusing, but it can be broken down into pieces to help you understand it. Now, because it’s so new on to the Western trading scene not all chart programs and providers will have it. You might think this would give you an unfair advantage if you happened to use it, and you would be right. Just as candlestick charting from Japan transformed the way we can look at charts, so Ichimoku is destined to transform the way we regard upper indicators. 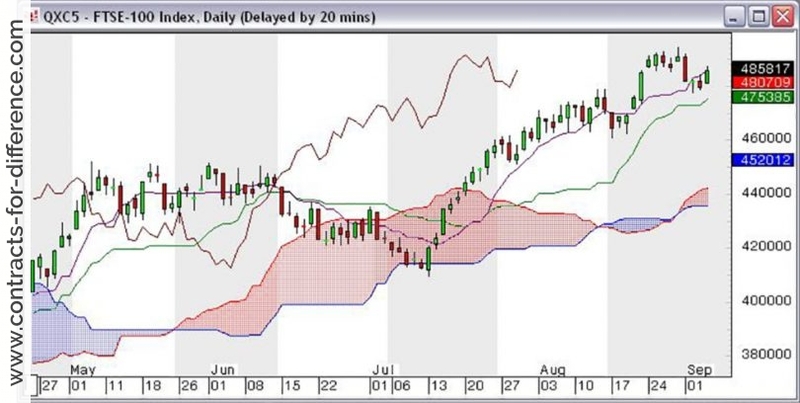 If your charting program does not offer Ichimoku yet, then you can follow along by looking at www.stockcharts.com, as the free Sharp Charts allow you to plot all the Ichimoku indicators – just scroll down to the Overlays section and pick Ichimoku Clouds with the default parameters of 9, 26 and 52. Then click on Update. At first glance, the Ichimoku chart seems very confusing. It has fi ve lines, and the area between two of the lines is filled in with color, and called the “Cloud”, or “Kumo” in the Japanese. In fact you’ll see it’s filled in with two colors, and the color used depends on whether the market is trending up or down. For this special report we’ll just look at the Cloud and its meanings, and the Masters course goes into the indications available from the other lines. It’s interesting to note that none of these overlay lines is a moving average of any type, although some of them look very similar. Instead they are calculated and drawn from the extreme prices, and the Ichimoku method also uses an unusual scheme of time shifting lines to good effect. Here’s an Ichimoku chart so that you can see what to expect. The price candles are red and black. The shortest period line is called the Tenkan-sen, and is shown in blue on this chart. The line is drawn by taking the midpoint of the highlow range for the last 9 periods. The red line, the Kijun-sen, is drawn using the midpoint of the high-low extremes of the previous 26 periods. This method of drawing the lines results in some horizontal sections, where there was not a higher high or a lower low on the day, and the 27th day back was also not an extreme day. In other words, the highest or lowest points in the last 27 days were not at either end, but somewhere in the middle. This means that the same high and low points are used from day to day for the next calculation. Now we come to the cloud boundaries. The first, the Senkou Span A, is plotted by taking the midpoint of the two previous lines, then moving it forward by 26 days. This line is drawn in green above. The other cloud boundary, called unsurprisingly Senkou Span B, is calculated as the midpoint of the extreme high and low values of the previous 52 days or periods. This too is shifted forward by 26 days, and is shown in red. So the cloud lines reflect what happened 26 days ago, or around a month previously. As you can see from the chart above, the cloud runs ahead of the present day by about a month. The fifth and final line is called the Chikou Span, and is simply the closing prices plotted 26 days previously. This is shown in green in the chart above, and as you can see finishes about a month before the current date, pending further price information. Now if you are familiar with conventional technical analysis to the extent that you know about moving averages, you will see that the Tenkan-sen, based on 9 periods or days and the Kijun-sen, based on 26, are similar to and behave like 9 day and 26 day simple moving averages. There are differences, but it’s easiest to think of them in these terms. But the two features that make Ichimoku a completely new development from conventional technical analysis are the idea of a cloud, and the idea of time shifting the indicator lines. In fact, time shifting is not such a big stretch when you think about it, as when you normally plot the moving average you put the value on the latest date for the previous however many periods. If you think about it, the average should really be in the center of those periods if you were to portray it in conventional statistical terms, in another context. But to apply time shifting both forwards and backwards is quite a radical idea. The two Senkou lines defi ne the boundaries of the cloud. Whichever line is on top decides the color or tint of the cloud. Span A is derived from 9 and 26 period lines, so is a ‘faster’ line than Span B which is based on 52 periods or days, in the figure. This means in an uptrend the green Span A is on top, and the cloud is tinted green. In a downtrend the cloud is pink, in this default color scheme. But what it’s showing today actually reflects what happened 26 days ago due to the time shifting. So how can we use the cloud? First, you can get an indication of the trend from looking at where the prices are in relation to the cloud. This is completely objective. If the price is above the cloud we are in an uptrend, and below the cloud signifies a downtrend. 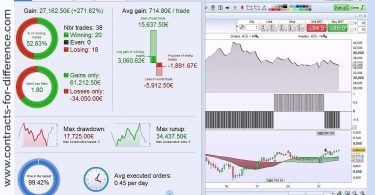 This is part of the “at a glance” idea – the way you can quickly assimilate information from looking at the charts. 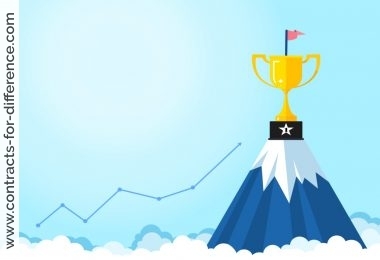 If the cloud is green when an uptrend is indicated, it’s said to be a stronger trend – basically because it shows that the trend has been going on for a while. Similarly, a pink cloud when the price action is below, signifying a downtrend, reinforces the strength of the trend. But what about when the price is IN the cloud? What does that say about the financial instrument you are tracking? Well, some people take the route that this means the price is fl at, or not trending. Certainly that can be so, but really when the price hits the cloud it’s time to be alert. If nothing else, the price could pass right through, which would indicate a trend reversal, but often there will be more interaction than that. You look to where the price came from to see the trend. If the price came down from above, and particularly if it’s a green cloud, that’s bullish. If it came up from below, it’s still bearish, at least at the moment. The best indication of a trend reversal is when the price crosses the Span B line, but there’s a lot more information available from the cloud, so we tend to look at the picture as a whole, rather than concentrating on one line. What else does the cloud reveal to us? 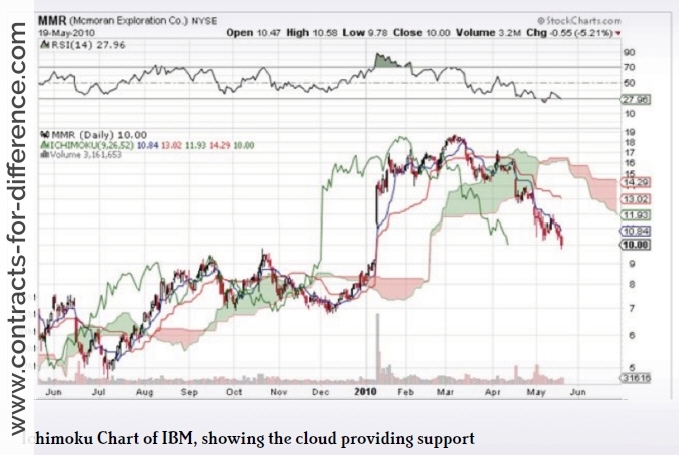 If you look at many Ichimoku Charts, you will fi nd that the cloud gives us some other indications of support and resistance levels – in fact, the price will often run along one of the cloud edges for a time. Unlike conventional technical analysis, where you sometimes have to wonder whether the projections are self-fulfilling because all traders use them – perhaps for Fibonacci levels, or for revisiting previous support or resistance – not enough Westerners are currently using Ichimoku charting for the predictions to be looked at that way, so the effects we see are actual market conditions. As with conventional technical analysis, the resistance can become support and vice versa, so the cloud can be approached from either direction and may still rebuff the price. A solid indication of a trend change is for the price to be deflected by the Span B line at first, then to cross it and be deflected in the other direction. 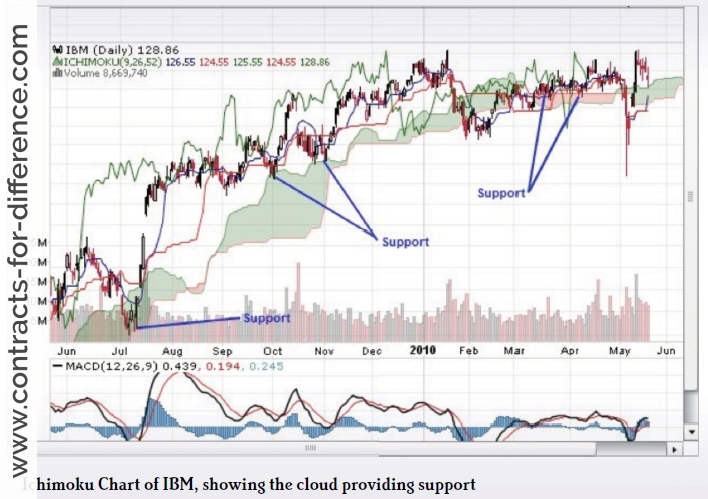 As you can see, the support (and resistance) can occur on either edge of the cloud. What does the cloud thickness mean? Well, it’s thicker when the shorter term line is running away from the long term, which basically means that the prices are accelerating. At some stage, this has to stop, and the prices slow down, perhaps to a consolidation or even a reversal. When it thins down to the point where the Span lines cross, the cloud changes direction, and prices will also cross the cloud. The cloud is often thicker at reversal points, but it’s not usually used as a signal by itself. It’s possible to trade when the price crosses the cloud, but it’s an early signal and a higher risk than some others. 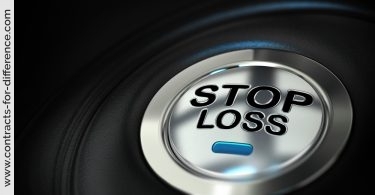 If you are prepared to cut your losses quickly if it goes against you, then it may just come down to a matter of style. Price action with the cloud is not always clear, and often the price will cross a few times before making its mind up about a trend change. Sometimes the best choice is to see how the price and cloud have interacted historically to find the most effective signal. Ichimoku works well with about 75% of securities, and you need to check whether the security you are interested in has reacted favorably previously. 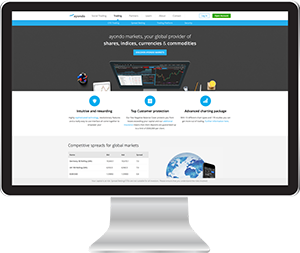 A unique feature of the cloud is that it is projected forward in time by 26 sessions, and this can change your approach to trading. You no longer have the excuse that you didn’t see it coming, so you missed the opportunity. With the cloud projected forward beyond today’s date you can be more prepared to act when opportunities arise. It shows you exactly what the price needs to do so that the trend continues. If the price does not comply, and crosses the cloud, then you have a warning that the trend may be changing. 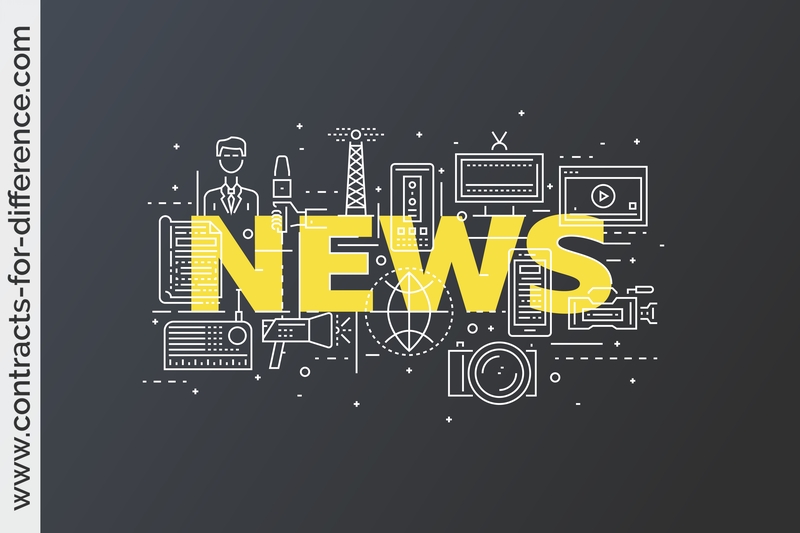 There is not another analytical method that gives you a moving target for the price projected into the future, in order to maintain the trend. Some proponents even suggest pushing the cloud out further, doubling the distance to 52 periods. The fi rst 26 periods are authentic, and the second part of the cloud can be drawn on the basis that prices won’t change for the next 26 periods. While this may be a stretch, it gives you a preliminary idea of what may happen, and the cloud can be corrected as time passes and real numbers are available. Up to now, the Western world has not explored changing the variables used in Ichimoku charting very much, preferring to continue with the ones used historically by the Japanese – and why not, if they are working well. But there is scope for experimentation and improvement. But as mentioned above, Ichimoku charting is successful in about 75% of cases, so it may be possible to improve this with careful period selection. Of course, it’s always possible to improve on results in back testing, and no doubt you can tweak these periods for any particular chart and usually get improvement. The question is whether the changed numbers will work better in the future than the standard figures. Some people have experimented with using Fibonacci numbers instead, for example 8, 21, and 55. It’s not clear whether these give an overall improvement. The original numbers were tested for many years in the 1930s, before computers were available to help with the process. Hosoda, the originator of Ichimoku charting, used a team of people to back test the values, and these were the results that they came up with. Generally, moving to shorter periods will give earlier signals but may result in more false signals. Other dynamics come into play, such as the width of the cloud, so it’s not a straightforward choice. With such a new technique, changing the numbers is one of the hot topics amongst recent converts to Ichimoku. No one has yet proved that any other combination of numbers is any better, but it’s really far too early to tell. In fact, rather than optimizing the numbers it proves more effective to impose a signal delay which means you do not trade as soon as a signal appears, but wait for a few periods to see if it retraces. 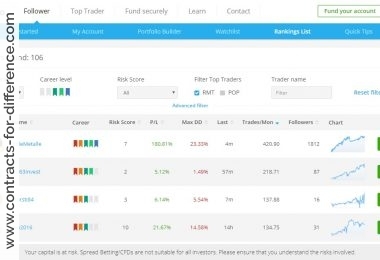 After all, the main purpose of optimizing the time scales is to reduce the number of losing trades, and putting in a delay before taking action is one way of doing this. I purposely concentrated on the cloud price interaction, and haven’t elaborated on the other three indicator lines, the Tenkan-Sen, Kijun-sen, or the Chikou Span. 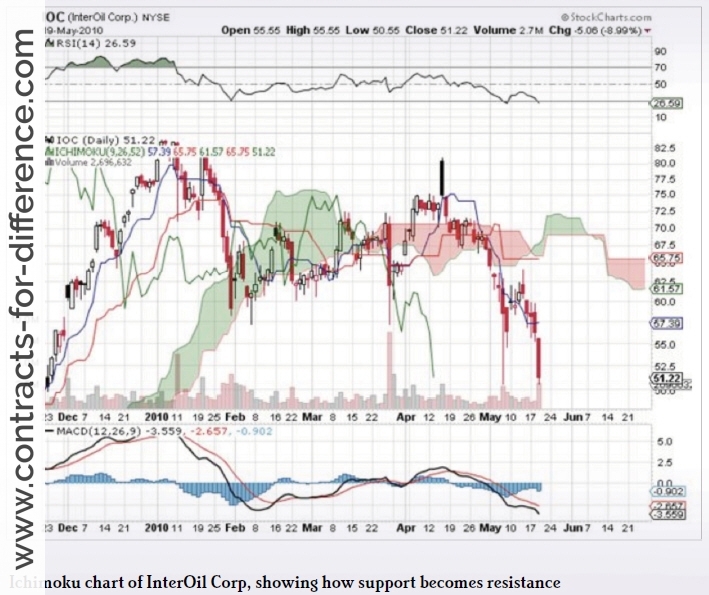 There are many different ways of using and interpreting Ichimoku charts, and these are discussed in detail in the Masters Course in Technical Analysis at our sister site.